Dropbox founder and CEO Drew Huston said, “You only need to be right once.”Hritesh Lohiya suffered through an embarrassing deluge of wrongs before stumbling onto the idea that would eventually make him a multimillionaire. “I started a textile chemical factory and then a stone cutting factory, manufactured and sold washing powder, began a stock market business, et cetera. I lost huge amounts of money in all these ventures,” he rues. Hritesh was quite superstitious when christening his umpteenth effort at starting up. “My wife Priti is my rock. She is very lucky for me. I believe that all my earlier startups failed miserably because there was no part of her name in their nomenclature. This time round, I didn’t make that mistake.” Or rather, this time round, he got it right. The firm designs and manufactures various handmade products out of waste materials. “We make handbags from old gunny bags, cast off military tents, denim pants, etc. We are also into producing furniture from waste tins, drums, old military jeeps, tractor parts, waste machine parts and lamps from old scooter- and bike-lights. These products are then exported to various countries like China, USA, European nations, and Australia. We are now India’s biggest exporter of waste handicraft products, and the only one in India to export to China,” he rattles off. India figures prominently in Priti International’s expansion plans. “In regard to India, the potential for our products, due to the rise of online shopping, is immense. We are in talks with several online retailers, like Pepperfry and Flipkart,about selling our products online here.” Priti International’s popularity shows no signs of plateauing. “We are completely booked with our export orders for the year 2015. In 2016, we are participating in various international exhibitions, like China’s Canton Fair and International Furniture Fair, Shanghai. Recently our unique products’ success story was filmed by Discovery Channel for their segment titled, ‘The Liquidators.’ Our work comprises an entire episode, and is scheduled to be telecast in 140 countries around the world. This is a big landmark for us,” he exudes. Priti International is self-funded. “We have taken no loans from banks or any other financial institution.” The core team comprises only two people, Hritesh and his wife Priti. “It is a labour of love for us. It’s just the two of us and we are hands-on with every aspect of the firm,” Hritesh explains. The Company Priti International Limited is recently incorporated in 30 June 2017 under the provisions of Companies Act 2013. Prior to incorporation the promoters were carrying out the operations of the sole proprietorship of M/s Priti International which was taken up by the company with total consideration of 1.5 Cr. So company has very limited financial history to look upon. Key Financial Observations 1. The Company has Shareholder's Fund of around 4 Cr. 2. Long term and Short term Debt is nil. 3. The Revenue for the first 9M of FY18 is 3.23 Cr. 4. The PAT for the first 9M of FY18 is 15.97 Lacs. So if you calculate it annually the PAT comes out to be 21.29 Lacs. 5. The total equity shares after the IPO would be= 25,94,332. 6. EPS would be= 3.47( pre-issue) and hence asking Price at P/E=21.61. Looks overpriced issue. 7. The Company has M.Cap of around 19 Cr and annualized sales of around 4.3 Cr. So M.Cap/Sales= 4.4 which is very high. 8. The Company has sales of around 1.2 lacs per day and trade receivables of around 317 Lacs for first 9M of FY18. So Trade receivables days( Trade receivables/sales per day) are around 266 which is very high. 9. The Company has very low RONW of around 4%. 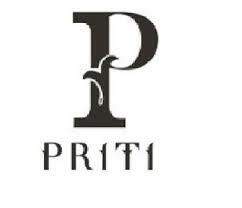 Priti International Limited does not have any peers to compare in the market. from our side is: Though Business looks promising and unique plus they have good international exposure. However, on the pricing front it looks fully priced. Rating 3/10. The Company has unique set of business where they buy trash from the market , design it , refurbish it and then sell in the market. The company looks unique in business and have good demand in European countries. Please check out their website at http://pritiinternationalltd.com/ for more info.